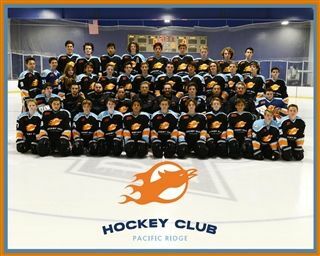 The Varsity Pacific Ridge Hockey Club faced off against rival, Cathedral Central at the San Diego Ice Arena on September 16. After starting the game trailing behind, the Firebirds were able to catch up in the second half. As the tide seemed to turn in Cathedral’s favor with a power play, senior Isaiah Granet would not be denied with a short-handed goal that would prove to be the game winner. “I think the difference Saturday was our willingness to work for a full three periods," Coach Juan Trevino said. "We’ve trailed in every game this season and this group refuses to quit. Saturday's game was even better because the hard work paid off in the end." The JV Firebirds also had a big win this weekend against Capistrano Unified. The JV Firebirds are undefeated on the year, including a tournament championship over labor day weekend.